Another site is suggesting that Steel's Russian counterpart may have written large parts of the dossier. Possibly regarding the "...learn Russian"? Don't be fooled. Stay sharp and aware. Attacks and trickery can be expected right now. The stakes are high. pretty sure any kind of that talk is frowned upon in this thread. 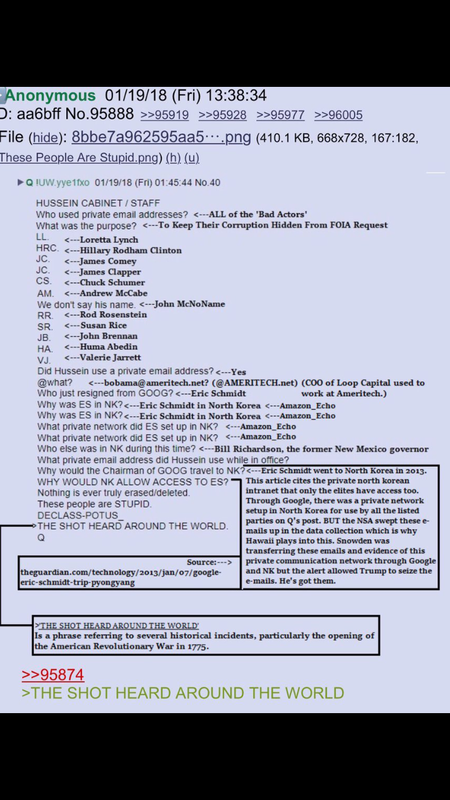 Anyone know who "Q" is yet? Not the name, but where he/she works. The posts come in spurts and usually late at night, don't they? Maybe its better to focus on what he points to, not who he is. If we knew who he is, he would have to stop leaking intel. I asked because it's like when Superman is around, Clark Kent is missing. When the White House is buzzing/busy, "Q" doesn't post.